Hey, I have a question. Are you still taking requests? It depends on the request! Remembering your article about the Shiro slap scene, I became curious and checked the Japanese script. Maybe I’m just in denial, but I know Google translate is not all that reliable, so I hope you can confirm it for me. It would certainly change my thoughts about… a lot of things, if this were true. I hate to tell you, but it does indeed say “my dad…gave me a bad beating.” The word is used for a physical beating too, so I don’t think there is much room for doubt! May be something to write an article on! So it may not be as bad as I thought. Honestly this seems like a more likely explanation. Greil’s philosophy is “treat others in good faith, and they will follow of their own volition” and beating someone… seems to go against that. Plus, you’d think someone who was forced to kill his friends and even his own wife would be a bit more sensitive about violence towards his loved ones. Not to mention, one blow is a lot more forgivable than a beating, and there seem to be no hiccups in Ike’s relationship with his father (saying he has no complaints about him, even calling him the best in the world at one point). I still think there are better ways to go about teaching a child they shouldn’t touch something… I say as long as it won’t kill them or endanger anyone else just tell them not to and let them suffer the natural consequences of their actions–better a child learns that a hot stove causes pain than that their parent does–but I realize that may not have been an option in that case, since if Ike did touch the medallion they’d need to send Mist after her berserk brother XD. He could have told Ike what would happen if he touched it, but maybe he thought that if their pursuers ever caught up to them it would be better if his children didn’t know so they’d be less likely to be targeted for “information gathering”, if you catch my drift… though of course, they could still fall victim to torture by proxy like the Black Knight threatens. 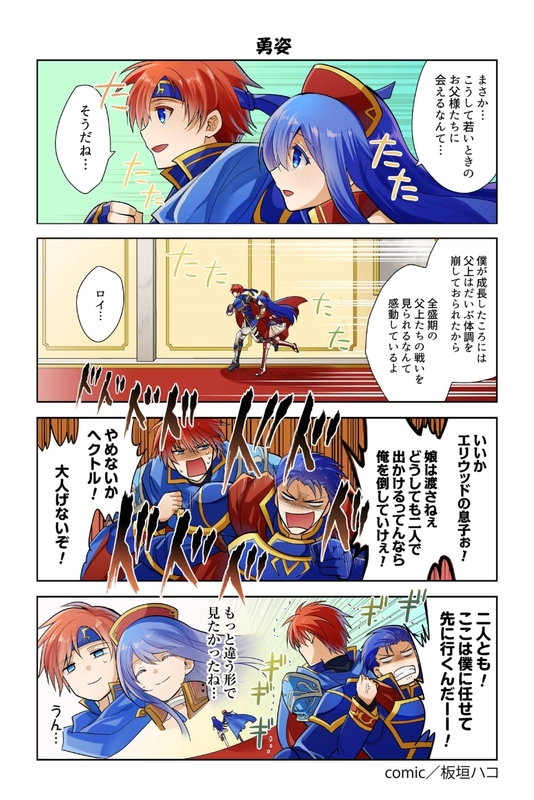 Additionally, in both languages Ike mentions this was a long time ago, meaning he was pretty young at the time, and… I just can’t believe that Greil would beat up his tiny son. I can’t. But a single blow would be more understandable since Greil probably panicked when he saw Ike reach for the medallion. It is telling, though, that his first resort is violence. Come to think of it, Ike tries to bash Sothe’s face in when they first meet for little reason and Mist hits Boyd just for teasing her a little… they probably got these violent tendencies from their father, whether genetic or learned from seeing him fight all the time. I still have mixed feelings about this, though. I mean, if someone hit their romantic partner just one time, we’d probably call them abusive… well, maybe not, aren’t those tsundere anime girls always slapping their boyfriends? But I think it’s still a double standard. Man hits woman, not okay; woman hits man or adult hits child, perfectly fine. Ugh. 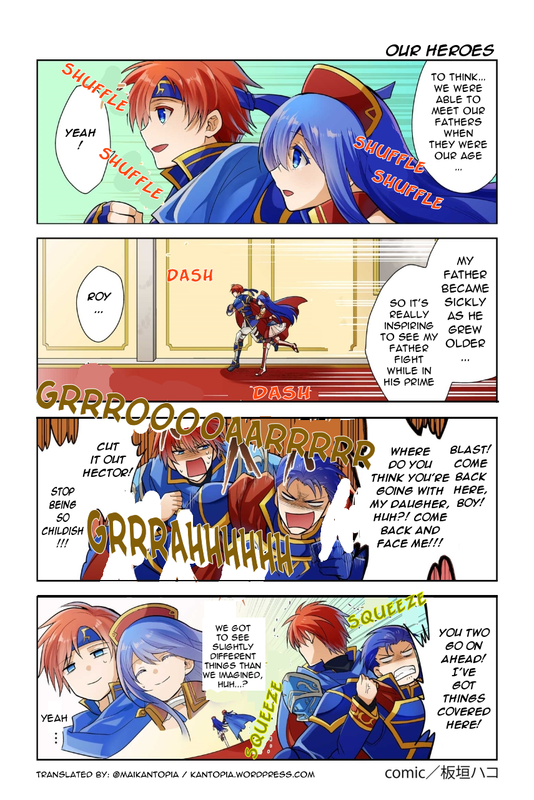 TL;DR I think it’s more likely that Greil hit Ike once than actually beat him, and I think you should consider that if you make it into an article. Sorry I wrote so much lol but thank you for informing me. I’ve calmed down a lot now. That’s okay! I totally understand the sort of feeling, and I’m glad I was able to inform. I’ll make a brief post on it when I get time for record-keeping purposes. Thanks for bringing it to my attention!